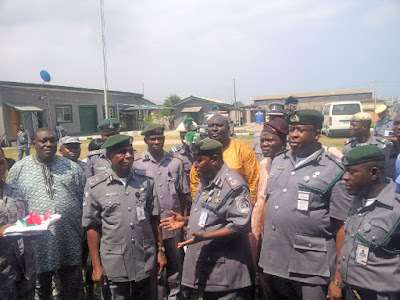 CAC Western Marine Command, Umar Yusuf and CAC Apapa Area Command, Eporwei Edike, with other officers of the Western Marine Command, as they prepare to open a temporary office and accommodation building at the Western Marine Command, Apapa. 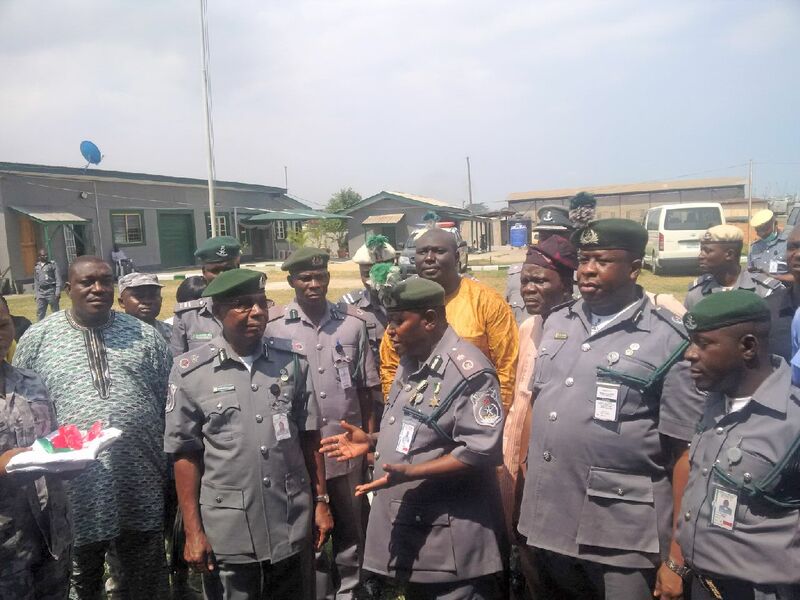 The Western Marine Command of the Nigeria Customs Service (NCS) on Wednesday destroyed seized frozen poultry products with duty paid value of N19.3 million. 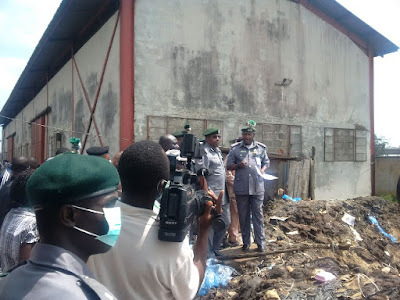 The Comptroller of the Command, Umar Yusuf, said at a news conference in Lagos that the products were seized late on Tuesday while two suspects were arrested. "Our joint patrol made it possible to record this major seizure on August 4 during the wee hours. "The joint patrol intercepted a boat loaded with 3,221 cartons of frozen poultry products along Badagry-Ere water ways with a DPV of N19, 326 million, "Yusuf said. He said that since the operation was launched about a month now on July 7, the command had seized 5,083 cartons of smuggled poultry products valued at N31 million. He also said the command was fully in charge of the Western region of the country and would tackle smuggling to a stand-still. "We warn smugglers that we are in effective control of the water ways in the Western region of the country, which include Ondo, Ogun, Lagos, Niger and Kebbi states. "This also interface with Nigeria's neighbouring countries of Republic of Benin and Togo, " Yusuf said. Also speaking, the Comptroller in charge of Apapa Command, Eporwei Edike, urged Nigerians to desist from consuming such products. 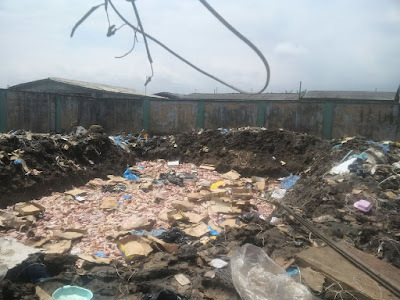 He said Nigerians should be aware of the health hazards involved in consuming the poultry products that might have been preserved with dangerous chemicals. He also said that patronising locally-produced poultry products would encourage the economy by creating jobs.